An optional lock set is also available. 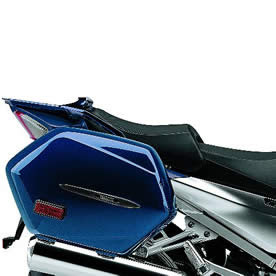 Side saddlebags are not compatible with an FZ1 rear top case mount and hardcase. To buy FZ1 parts such as tail lights, fenders, seat, sub cowling, etc. and see our Yamaha microfiche pages.